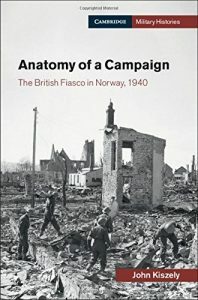 I cannot recommend too highly John Kiszely’s book: Anatomy of a Campaign: The British Fiasco in Norway, 1940. This is a great book that anyone interested in modern strategy and military affairs will find interesting. It also casts a contrasting light on the popular view of 1940 influenced by films about Dunkirk and Churchll. On Tuesday, at RUSI, he received the Duke of Wellington Award for the best military history work of the year. This is a military history, but with a specific purpose. The work was inspired by his time at the Higher Command and Staff College for a study of a campaign as a whole, and that the Norway Campaign which ended in a defeat might offer more lessons than a success. In his book he dissects the campaign from policy decisions in cabinet through to the events on the ground and on the waves. It should be a valuable case study for anyone with an interest in business or political strategy. While written for the general reader, John Kiszely explores causality and the interplay between the personalities and institutional cultures of the organisations that took part. For anyone with an interest in the events of 1940, it adds sharp critical insight to the state of Britain’s armed forces and leadership. This pulls no patriotic punches. The frank admission that companies of Guardsmen ran away must have been painful to document. The book is an essential sobering complement to the sometimes public smugness about 1940 Dunkirk and Churchill. It is a cautionary tale about military intervention and compulsory reading for anyone advocating that something must be done about some international crisis. It is well written without labouring points or underlining obvious lessons, there is much that is familiar from recent history. A divided cabinet. Public opinion demanding action. Institutions barely fit for purpose. It is also an object lesson about the longer view. The OP asked how much damage did the occupation of Norway do in the long term to the allied cause. The answer was probably very little: indeed, the German naval losses may have saved Britain from the Germans attempting an invasion the same year. 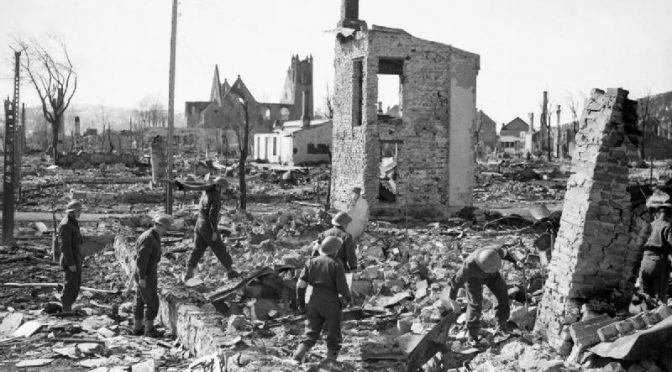 Previous Post1918: A Year Britain has chosen not to Remember…Next PostWhy did the Gunners want to bombard Langemarck Church?